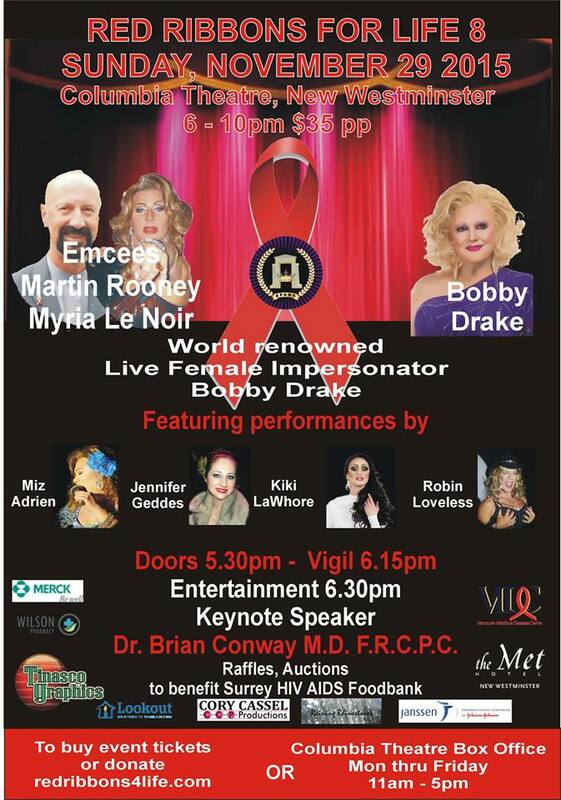 For World AIDS Day 2015, we at VIDC quietly remembered our friends who have lost their lives to AIDS and those who are winning their battle with HIV. The whole day was quiet, a little solemn, but also mostly hopeful — our battle with HIV has come a long way in the past couple of decades. We also joined our friend, Bradford McIntyre in reliving his interview at The Dini Petty Show. Bradford sent us a link to his blog where he featured the footage of his interview and reflected on the experience and how far he’s come since the interview for World AIDS Day 1994. Click on the photo to watch the full interview (or follow this link). We also took to Snapchat and joined their World AIDS Day Campaign in cooperation with (RED). For every photo snapped with the (RED) filter, The Bill and Melinda Gates Foundation will donate $3 to (RED), up to $3 MILLION. Our research staff ( from left to right: Anita, May, Riley, Hannah, and Carmen) represented VIDC and took a snap! Yes, the Jared Leto (RED)filter was upside down. No, there’s nothing significant about it. The (RED) Revolution is one of the many ways YOU can help. Read more about (RED) by going to red.org and find out how you can help! Once a year we commemorate World AIDS Day, as the fight against HIV continues. Let’s keep doing what we can to help! This month’s Community Spotlight is again on Bradford McIntyre. We want to join him in celebrating the life he was told should have ended within 6 months from November 28 — THIRTY YEARS AGO! Brad, as you might remember from our September Community Spotlight, is a dear friend of VIDC. A number of our photos (for example, the ones from STRUT 2015 and RR4L 8, to name a few) were taken by him — if there is anything significant happening in the HIV community that we are a part of, we can bet that Brad is already there! Brad’s commitment to the work that he does for the HIV Positive community rivals even our own, and this post sheds some light on what motivates this passion. This month’s spotlight is a bit different. Not only is it shone on someone we’ve already featured before, but it is also one where we will let the the person speak for himself. There is no way anything written on VIDC Connect could be as impactful as reading his words for yourself. As such, follow this link to Brad’s blog to read his reflections on the anniversary of being told he had six months to live (Nov 28, 1985). Brad, thank you for being such an inspiration to us! His story was also featured in Vacouverites — follow this link to read about it. And again on the livingapozlife blog — click here to read it. This month’s community spotlight sheds light on an issue that’s worth celebrating yet heartbreaking. Bradford McIntyre — more commonly known as Brad to us at VIDC — is a friend of VIDC who has successfully outlived the 6-months-to-live diagnosis he was given in 1984. 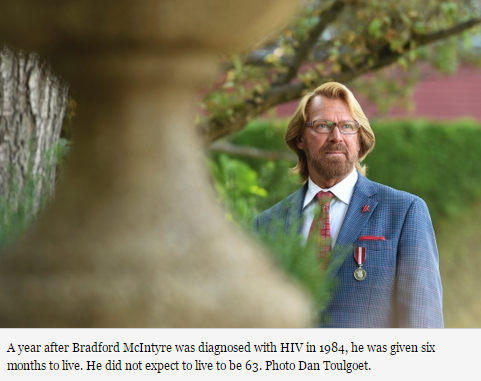 Brad was recently featured in an article by the Vancouver Courier entitled “Living longer with HIV.” He was the prime example of how the field of HIV is rapidly changing. Not too long ago, being diagnosed with HIV was considered a death sentence; now, because of the new treatments available, people like Brad are living well into their sixties. This is great news! This means we are slowly but surely making great progress in our fight against HIV. However, this also spotlights a new issue: an aging HIV-positive population. Because of the advancements in the field of HIV research, people who were expecting to die at a young age, are now given a new hope — a new hope with a new challenge. That means there is a growing population of more senior individuals living with HIV. The challenge, however, is not just on the individuals who are now given a shot at a longer (and ideally, a more fruitful) life. Society, at large, is also faced with a new challenge. Because an aging HIV population is a fairly recent phenomenon, our society has yet to catch up with services and infrastructures — and especially the knowledge — to care for and support this growing population. Most importantly, the stigma and discrimination that comes with the virus, is ever so present. Brad’s photo on the Vancouver Courier website. This is the new reality that Brad — along with the rest of society — has to face. All the more reason for Brad to keep doing what he does! As mentioned earlier, Brad has a blog called positivelypositive.ca where his primarily goal is to promote HIV/AIDS awareness and education. Brad turned a death-sentence into a mission. His website provides information, resources, and — most importantly — hope. Resources like positivelypositive.ca are constant reminders that although stigma and discrimination that come with HIV is very real, there is hope of dispelling them through education and awareness. To find out more about the work that Brad is involved with — did you know that he is a recipient of the Queen Elizabeth II Diamond Jubilee Medal for excellence in the field of HIV/AIDS in Canada? — visit his blog: positivelypositive.ca! It is because of amazing individuals like Brad that we are encouraged to keep doing what we’re doing. People like him remind us that there is hope, and that there are more and more people getting involved with promoting HIV/AIDS awareness, research, education, prevention, etc! 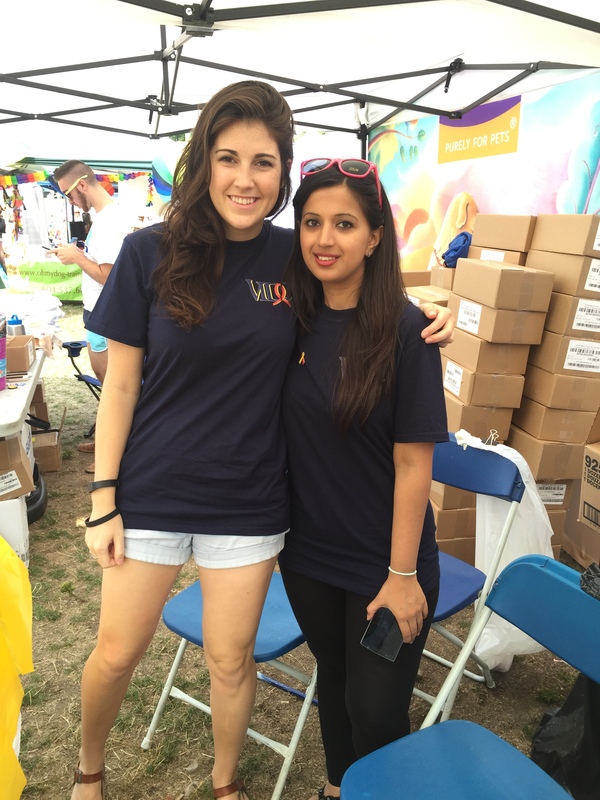 As previously mentioned, VIDC is proud to have been part of this year’s PRIDE FESTIVAL. We’ve been in the community for so long, it was only a matter of time before this happened — and now is the time! The VIDC Information Booth set-up — with flyers, pamphlets, booklets, wristbands, and a glimpse of what we had for breakfast that day! 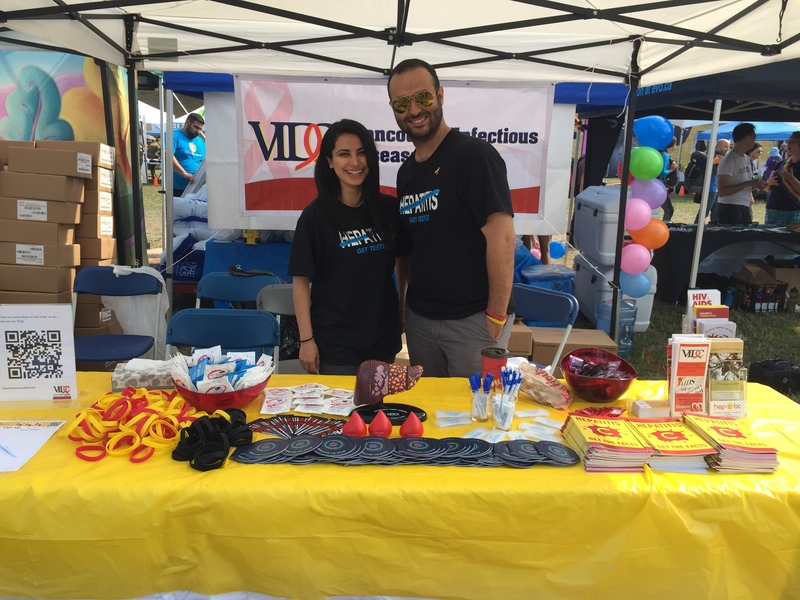 PRIDE is a time to celebrate acceptance and to stand up against discrimination — and since HCV and HIV/AIDS do not discriminate, we wanted to be present at the festival to promote awareness about these diseases and the treatments available. It was a very interesting and informative day for us as we got to see other organizations who support PRIDE, the initiatives they are involved with, and the health programs they have for the community. 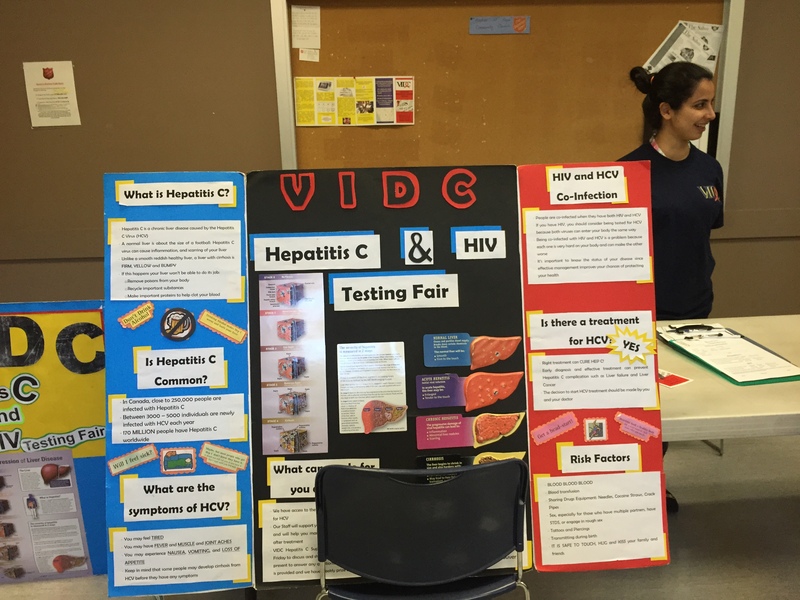 It was a great reminder that although HIV and HCV are negatively affecting a lot of people, there are also a lot of people working together to help those affected. Our research assistants Ghazal and Dr. Sahand Vafadary posing for a photo before the festival opened. It was also very encouraging how receptive people were to the information. Festival goers were generally very inquisitive, and it was our great pleasure and delight to educate them about the diseases (HIV and HCV) and the treatments available. 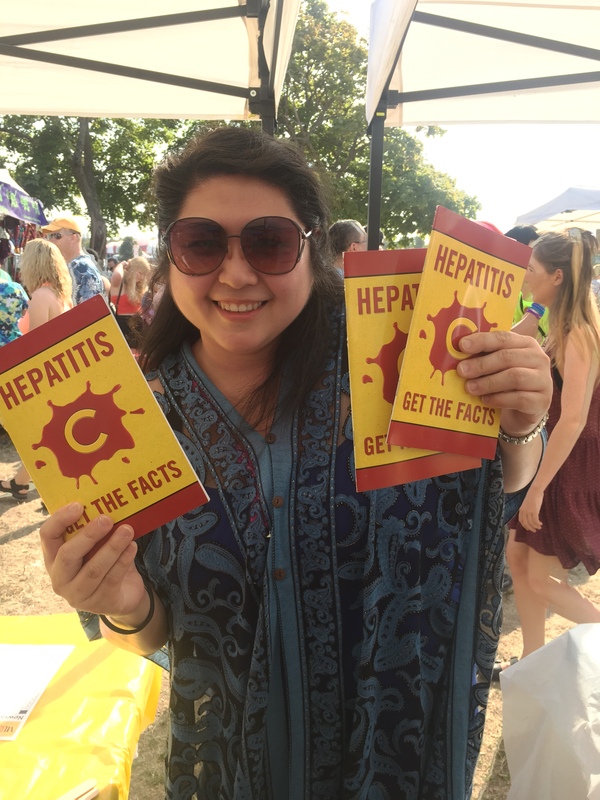 One of our research coordinators, Nurse Candice Tan, handing out Hepatitis C Information Booklets and answering questions about testing and treatment options for Hepatitis C with a huge smile! We focused mainly on providing information on Hepatitis C. Why? 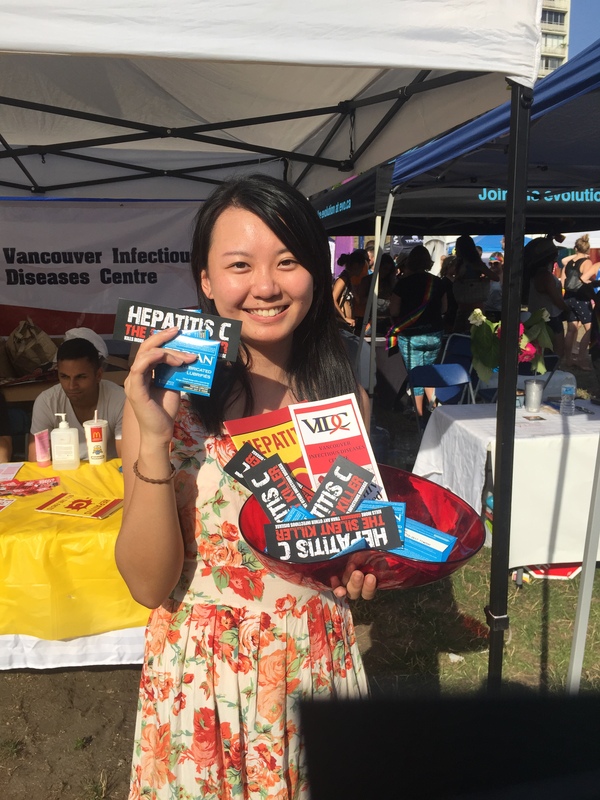 Because we feel like the awareness of HCV isn’t as widespread as HIV; also, at PRIDE, there were a number of organizations with information booths spreading awareness for HIV already. We tried to fill in the gap where we saw fit. Hepatitis C is a serious disease, and we want people to know that they should get tested and that treatments are available! The VIDC team had different shifts in staffing the booth. We wanted to make sure we got the chance to enjoy the festival while also ensuring that we always had a medical professional to address people’s questions and concerns. We had all three of our nurses, a couple of our research coordinators, assistants, and volunteers present on-site at various times of the day — all ready and equipped to spread the good word that HCV is now curable and people should get tested. Research Assistant, Riley, and our HCV Nurse, Yashna rocking the VIDC shirts — they’re one of the blessed ones who can make those shirts work! We clearly had a lot of fun at! And we look forward to being a part of the PRIDE FESTIVAL again next year. Who knows, maybe we’ll have a float for the PARADE too! This month’s community spotlight is a little bit different, it’s not just an introduction about a dear friend of VIDC, it’s also a call to action. Yes, this month’s community spotlight is for YOU to join and take part in the goodwork that our friend is doing! 2015 marks the 30th year for the AIDS WALK FOR LIFE, and the spotlight is directed at Tyler Cuddahy. He’s a dear friend of VIDC and we want to get the word out there about the work he’s involved in! 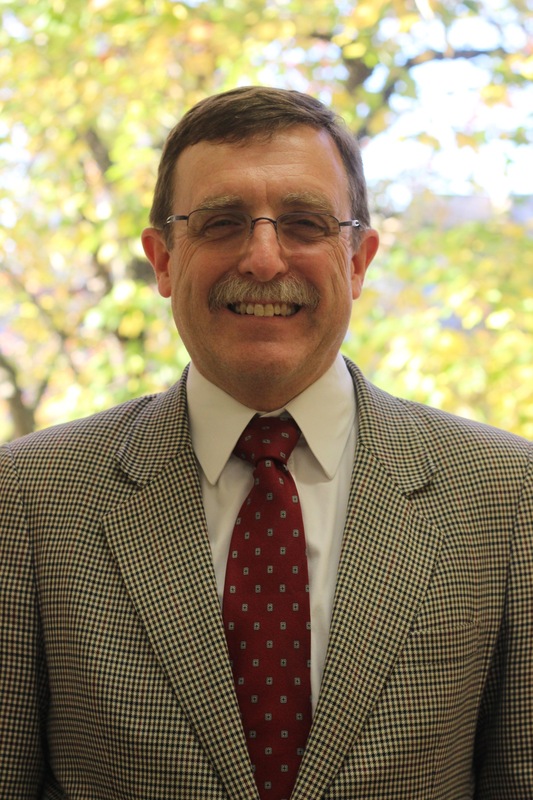 He came to our office informing us of his walk, and our President and Medical Director, Dr. Brian Conway, jumped at the chance to support him financially — and to make sure that we spread the word to get more supporters! strength, for health, and for LIFE. Now, here’s the part where YOU come in. Tyler won’t just be walking for the sake of looking glamorous in his EIGHT-INCH HEELS; he’s walking to raise funds for the walk. The funds will go to Positive Living BC’s Community Health Fund. 1. Support Tyler’s walk financially! You can take part in his journey (again, in EIGHT-INCH HEELS) by supporting it financially. Click here for his donation page. 2. You can register to walk too! Don’t worry, you can walk in normal shoes if that’s more your style. Click here if you want to register and do the walk too! You can walk alone or in a team. It’s because of people like Tyler who participate in initiatives and events like these that help bring awareness that HIV is still a problem that needs to be addressed. And it will be because of people like YOU that he — and others — can keep doing so. As a medical and research clinic with a strong commitment to a community-based holistic approach in providing health care, we proudly support individuals like Tyler and his efforts! 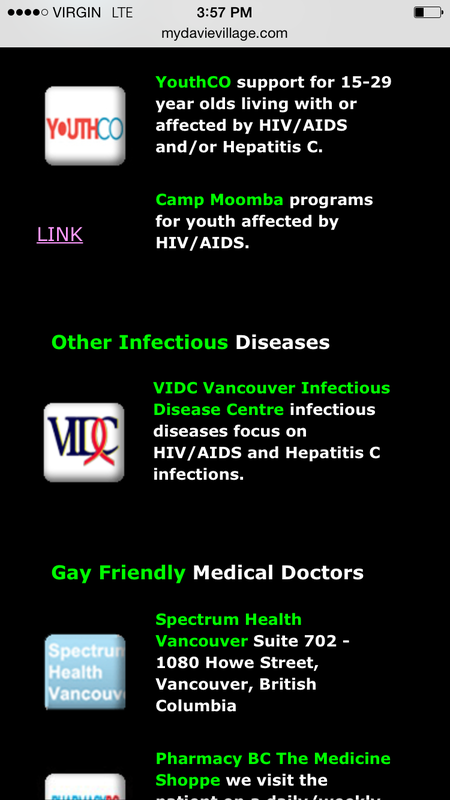 We are proud to announce that the Vancouver Infectious Diseases Centre (VIDC) is now affiliated with the MyDavieVillage.com online directory. 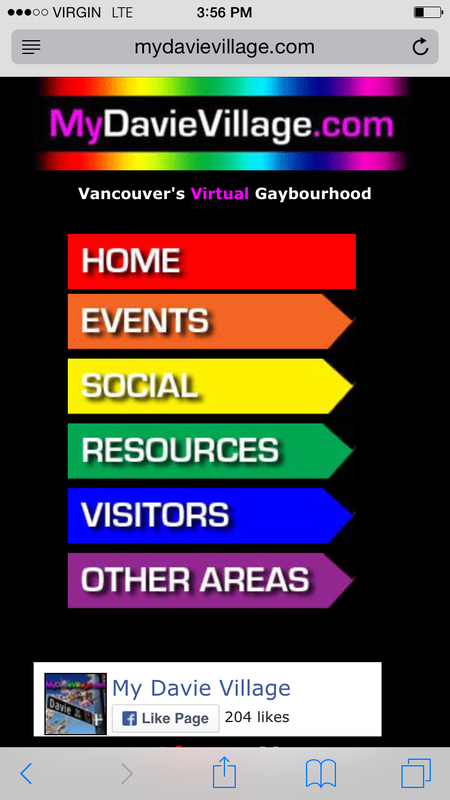 provide a resource base for Vancouver’s gay community and GLBT visitors to Vancouver … a virtual Davie Village to complement our traditional West End “gaybourhood” and make it easier for all of Vancouver’s GLBT gay community to be engaged with our community. As a medical and research clinic that emphasizes the need for a community-based holistic approach in providing care, we strongly support initiatives like MyDavieVillage that endeavors to bring the community together. 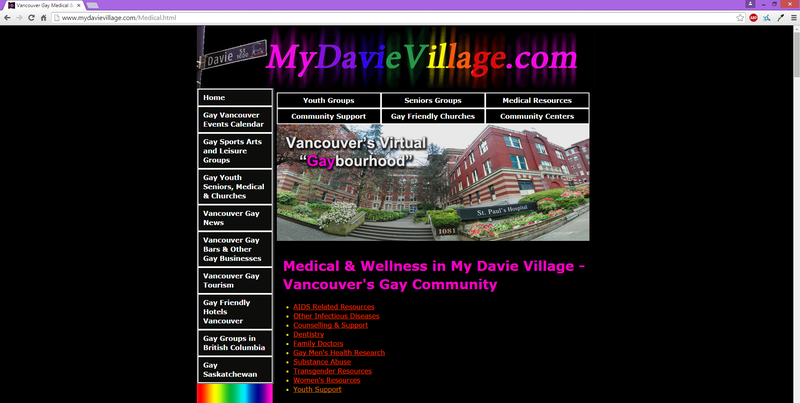 This is especially significant as the GLBT Community that MyDavieVillage.com seeks to bring together, is one of the communities at a higher risk for HCV and HIV. Being visibly accessible to the community through this directory means VIDC can reach a wider audience in raising awareness and providing care. Short blurb about VIDC on the desktop version of the website. The website is also mobile friendly, making it easy to access the resources while on the go. Medical Resources landing page (with VIDC blurb) on the mobile-friendly webpage. 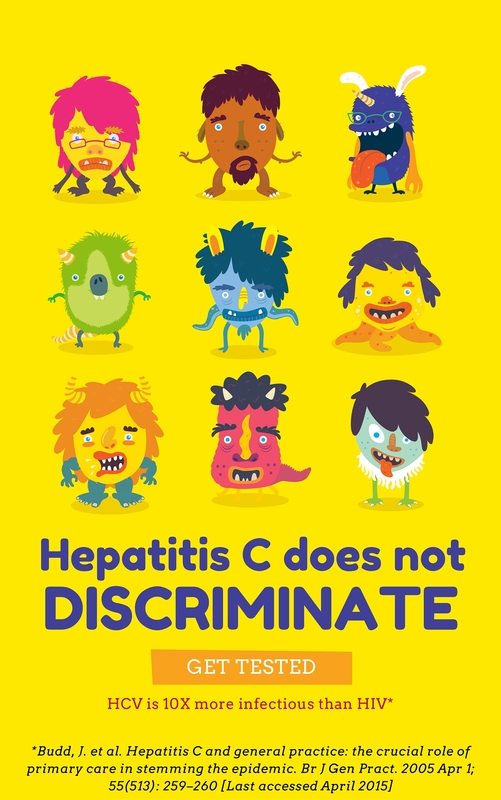 HCV (and HIV for that matter) does not discriminate! And neither should we! 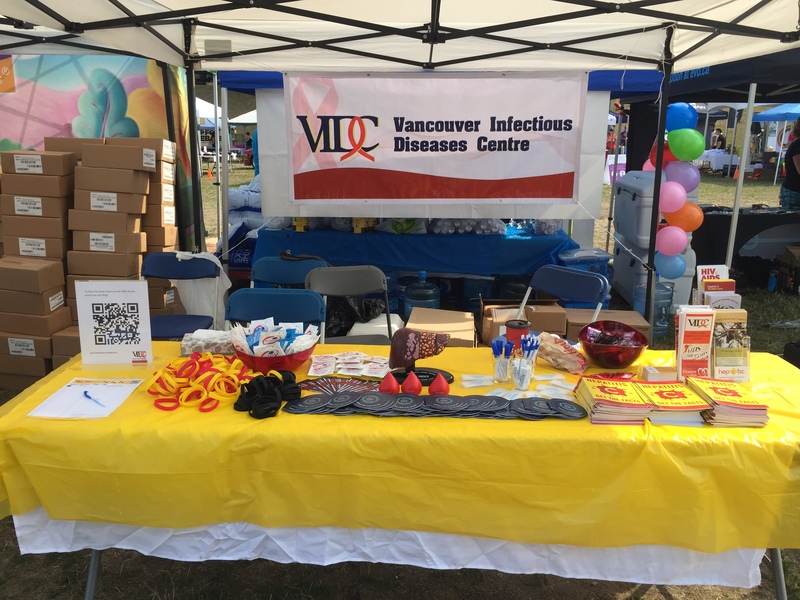 VIDC will be at the PRIDE FESTIVAL @ SUNSET BEACH! Come find us at our booth and say hi!